In this compelling volume, ten distinguished thinkers -- William G. Lycan, Galen Strawson, Jeffrey Poland, Georges Rey, Frances Egan, Paul Horwich, Peter Ludlow, Paul Pietroski, Alison Gopnik, and Ruth Millikan -- address a variety of conceptual issues raised in Noam Chomsky's work. Distinguished list of critics: William G. Lycan, Galen Strawson, Jeffrey Poland, Georges Rey, Frances Egan, Paul Horwich, Peter Ludlow, Paul Pietroski, Alison Gopnik, and Ruth Millikan. 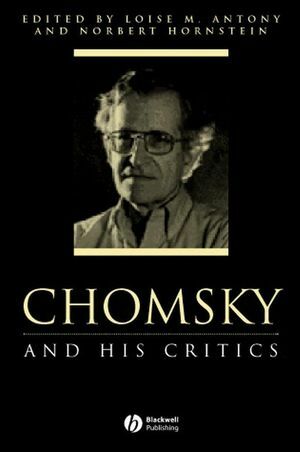 Includes Chomsky's substantial new replies and responses to each essay. The best critical introduction to Chomsky's thought as a whole. Louise M. Antony is Professor of Philosophy and Women's Studies at The Ohio State University. She is editor, with Charlotte Witt, of A Mind of One's Own: Feminist Essays on Reason and Objectivity, 2nd edn. (2002). Norbert Hornstein is Professor of Linguistics at the University of Maryland, College Park. He is the author of Move! A Minimalist Theory of Construal (Blackwell, 2000), Logical Form: From GB to Minimalism (Blackwell, 1995),and As Time Goes By: Tense and Universal Grammar (1994). Introduction: Norbert Hornstein (University of Maryland, College Park) and Louise M. Antony (The Ohio State University). 1. Chomsky on the Mind-Body Problem: William G. Lycan (University of North Carolina). 2. Chomsky's Challenge to Physicalism: Jeffrey Poland (University of Nebraska-Lincoln). 3. Real Materialism: Galen Strawson (University of Reading). 4. Naturalistic Inquiry: Where does Mental Representation Fit In? : Frances Egan (Rutgers University). 5. Chomsky, Intentinality and a CRTT: Georges Rey (University of Maryland, College Park). 6. Referential Semantics for I-languages? : Peter Ludlow (State University of New York, Stony Brook). 7. Meaning and Its Place in the Language Faculty: Paul Horwich (Graduate Center of the City University of New York). 8. Small Verbs, Complex Events: Analyticity without Synonymy: Paul M. Pietroski (University of Maryland, College Park). 9. In Defense of Public Language: Ruth Garrett Millikan (University of Connecticut). 10. The Theory Theory as an Alternative to the Innateness Hypothesis: Alison Gopnik (Universtiy of California at Berkeley). 11. Replies: Noam Chomsky (Massachusetts Institute of Technology). 12. Major Works By and About Noam Chomsky (Massachusetts Institute of Technology).